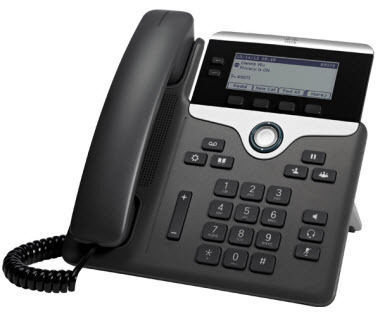 The CiscoIP Phone 7800 Series debuts at the annual Collaboration Summit 2013. Designed to improve your organization’s people-centric communications, CiscoIP Phone 7800 Series is a cost-effective, high-fidelity voice communications portfolio, while reducing your operating costs. 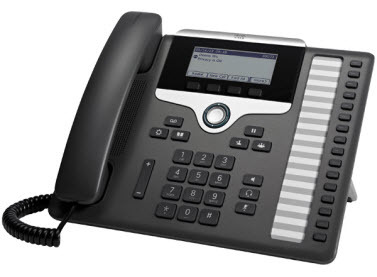 It delivers advanced IP Telephony features and crystal clear wideband audio performance to deliver an easy-to-use, full-featured voice communications experience. The line keys on each model are fully programmable. You can set up keys to support either lines, such as directory numbers, or call features like speed dialing. You can also boost productivity by handling multiple calls for each directory number, using the multi-call per-line appearance feature. Tri-color LEDs on the line keys support this feature and make the phone simpler and easy to use. Fixed function keys on all models give you one-touch access to service, messaging, directory, and hold/resume, transfer, and conference features. A full-duplex speakerphone lets you set up clear multi-party conferences for flexible, productive collaboration. 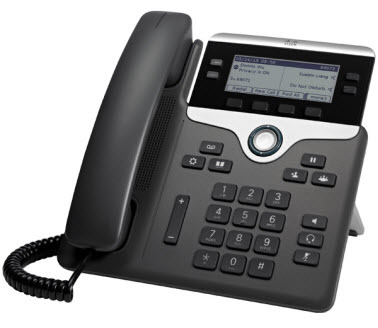 This affordable IP phone provides single-button access to key team members or to support calls in contact center queues. With 16 lines, the Cisco IP Phone 7861 is ideal for active users such as administrative staff, managers, and agents in contact centers. This phone is designed for information workers, the administrative staff and managers who have a moderate level of voice communications needs.